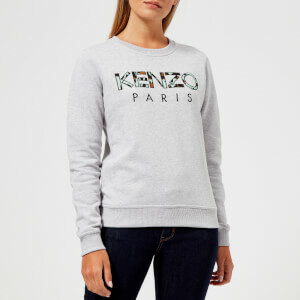 Women’s black sweatshirt from French fashion house, KENZO. 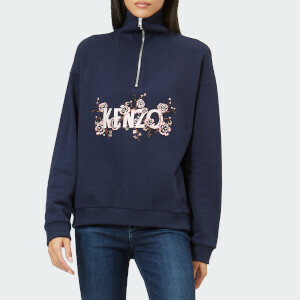 Crafted from soft cotton molleton, the sweater is designed with a signature KENZO Paris logo appliqué on the chest in a leopard print pattern. Complete with a ribbed crew neck, hem and cuffs.